Prohibition may have ended almost a century ago, but speakeasy-inspired bars are still alive and well in Mississippi. You can still find these classic hangouts scattered around the state that only you (and thousands of others) know about. The good news is, there’s no password or secret knock required at these four amazing speakeasies in Mississippi. Step back—way back!—into the roaring ‘20s with a festive menu, creative attire, and plenty of old classics filling the air. You’ll want to bring your dancing shoes, but even if you’re not a dancer you can still enjoy the fine details that went into creating one of the most iconic bar/restaurants in the state. And if you’re on a budget, you’ll appreciate their Great Depression specials. Reminiscent of the old-fashioned drug stores of yesteryear, you’ll be surprised to find more than a medicine counter here. Known for their creative cocktails served up in a speakeasy-style bar, patrons love the dedication the owners have put into this theme. Grab a seat at the “counter” or a retro booth for an experience unlike any other in the city. This bluesy club is one of the city’s most talked about music venues, offering cool tunes and cold drinks served up in speakeasy digs. Its underground location makes it a perfect hiding spot, so you’ll have to know you’re looking for it if you want to find it. They’re open every Thursday through Saturday and feature a full bar and food menu. 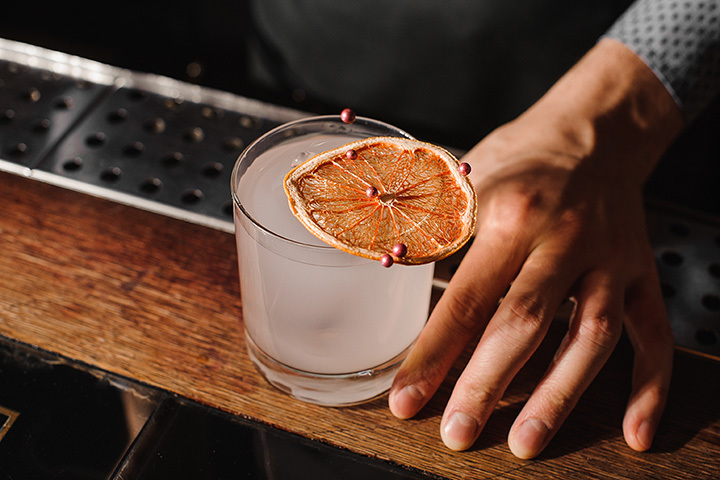 Like any good speakeasy, this place is known for their expertly crafted cocktails that will leaving a lasting impression. But first, you’ve got to find it: the backdoor-in-the-alley entrance gives it an authentic speakeasy vibe. Their unique atmosphere is welcoming for locals and out of towners alike.